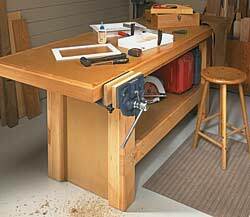 Build a perfect customized workbench with these free woodworking plans. 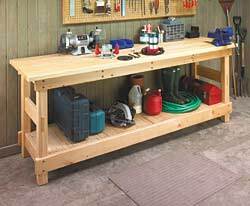 Build a solid wood workbench for less that $175.00! 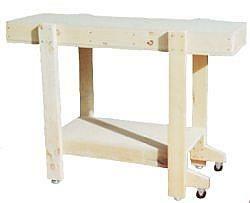 This workbench has it all, a rock-solid base, large top, and it's inexpensive to make. 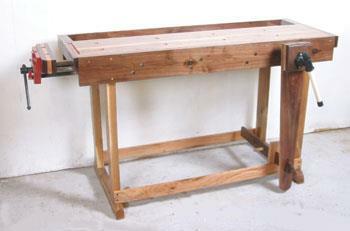 A complete page of materials and instructions on how to build a Small Utility Workbench. Easy to build and cost for this project is low, requiring about 20 hours in the shop and about $200 for materials. 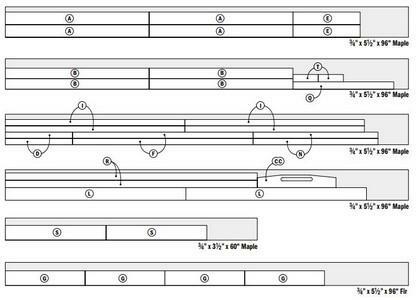 In this project you will modify an existing workbench by adding hold down tracks. 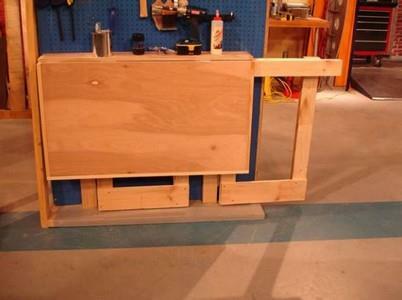 An easy to build workbench that can be as long or as short as you'd like it to be. 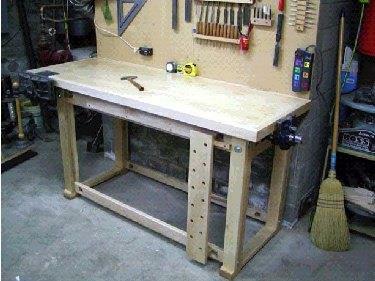 Build this easy workbench in a short amount of time and it's easy on the pocket book! 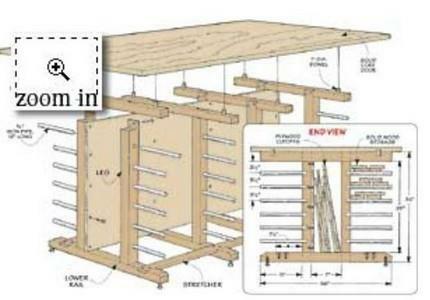 These plans are for a simple workbench for your garage or for along the wall in your shop. A cheap and sturdy workbench for approximately twenty dollars! 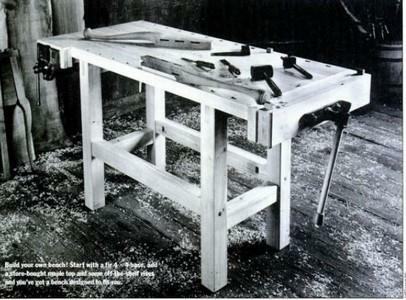 A workbench that is basic, requires a minimum of tools, easy to construct and very sturdy. 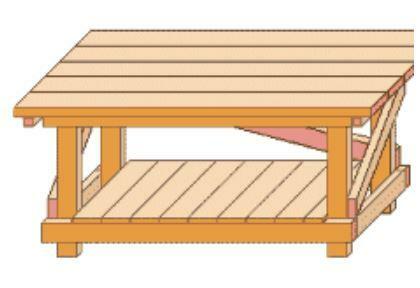 This easy to build bench can be shortened to fit a particular space or adjusted for height. 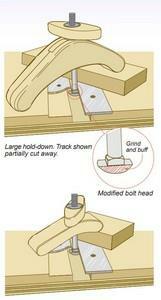 This is a fun little project that sets up a woodworking area just for kids. We all need our own space, so does your lil woodworker. 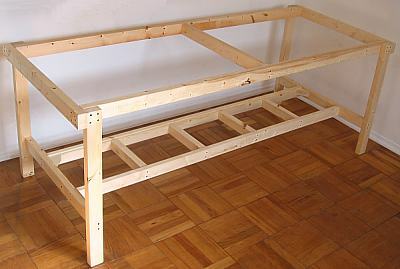 Step by step, detailed directions on how to build a heavy, stable workbench. Pictures included. Six 2 x 4's, a sheet of particleboard or MDF, a sheet of tempered hardboard, some hardware and a few hours is all you'll need to make this rugged, affordable workbench! 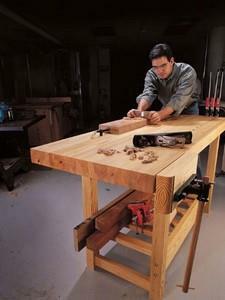 This good, solid workbench has both a front and end vise with dog holes in the top, as well as in one or both of the vises. 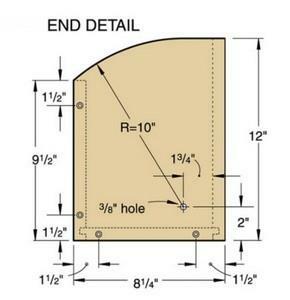 A recessed tool shelf is also included. 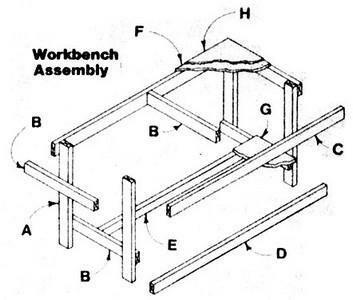 Easy to build workbench with step by step instructions; its all you need in a workbench! 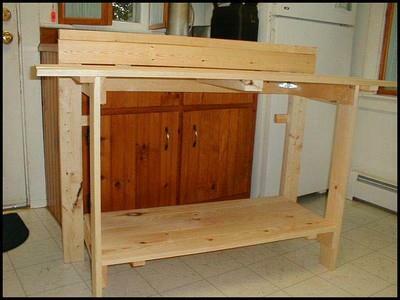 This workbench plan uses 2 x 4s to produce a relatively cheap and functional workbench that can be constructed in a day. 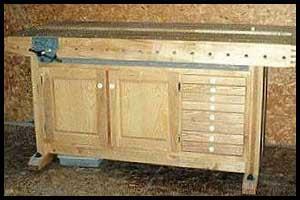 Under the workbench are very basic drawers that can be used to store all of your power tools. 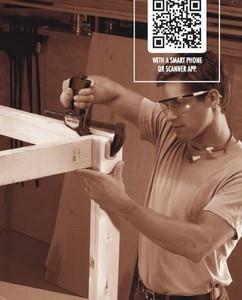 A hanging tool crib that neatly secures in place beneath the benchtop. 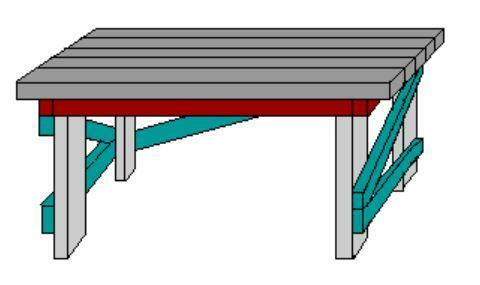 A straight forward layout for a worktable that you can make in just a few hours. 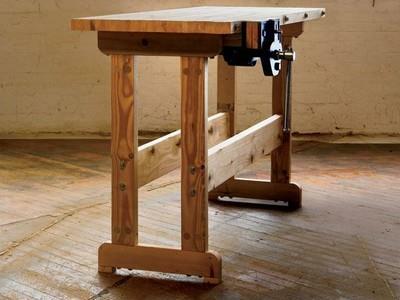 Roll this workbench around your workspace by simply tipping one end a few degrees to engage the wheels. 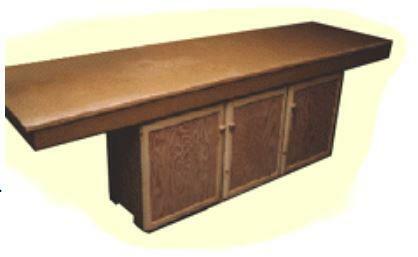 The base consists of four trestles that support the benchtop and provide a place for creating a rack to hold lumber. 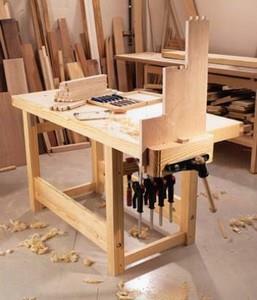 A simple work bench that uses a store-bought maple top. 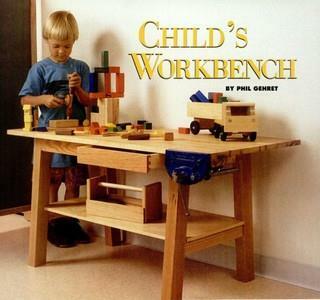 Build a wooden workbench for children 6 to 10 years of age.